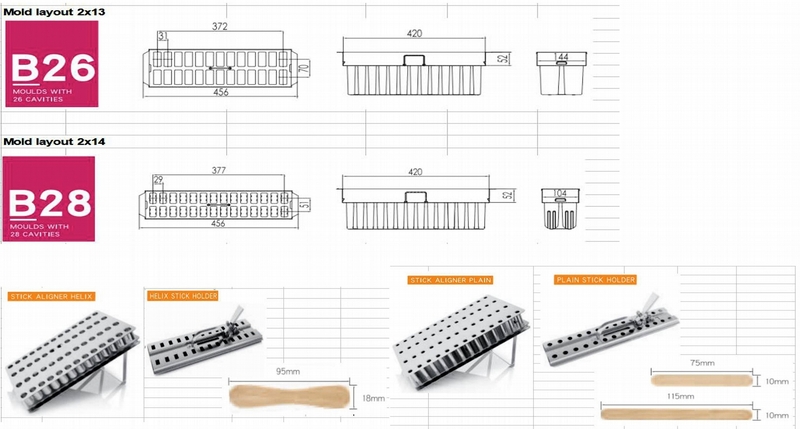 Note: If you need the mold of other design, please send us the design and tell us the volume, we will check and confirm you whether we could satisfy your requirement. 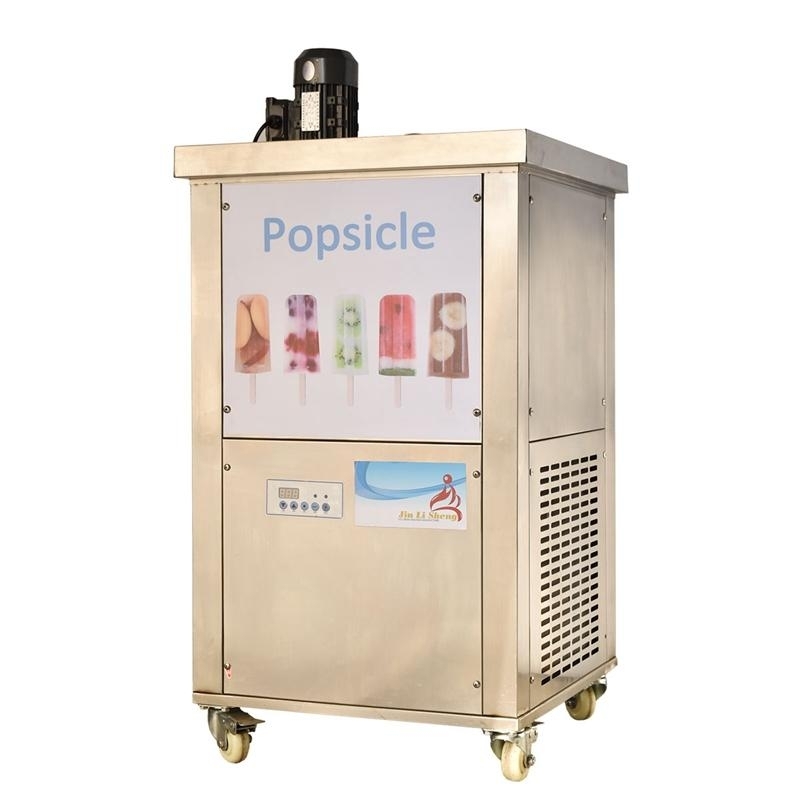 Why choose Jin Li Sheng Popsicle Machine ? 1. Quality is the culture of JinLiSheng factory! Quality is the mission of JinLiSheng family! Customer satisfaction is the biggest satisfaction of JinLiSheng! JinLiSheng use heart to produce each machine! 2. Factory over 16 years manufacturing experiences on Ice Cream Machine. 3. Professional training on machine operation and maintenance. 4. Professional training on popsicle making. 6. Our professional technician could satisfy your any customized requirements. 7. Digital control panel, with display of freezing agent temperature. 8. Microcomputer control. stable working performance. safe operation. 10. Machine Mainframe and outside Panel made of stainless steel, more hygienic, more durable. 11. Temperature of the freezing agent could be adjusted. 12. 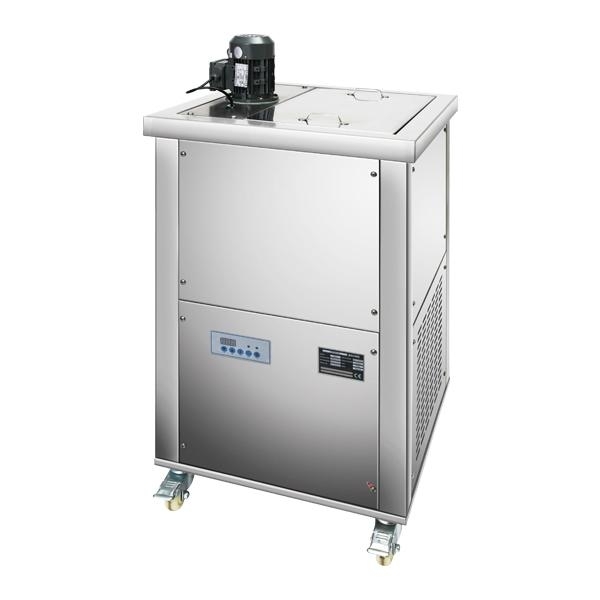 Fast refrigeration, high production capacity, each cycle takes 15 to 20 minutes. 13. Machine could work 24 hours a day. 16. Very good quality and of very good price. 17. Customized logo, customized machine data label, customized machine advertising sticker accepted. 18. Machine of 1/2/4/6/8/10 molds available. 19. Hourly production from 160 pops to 1120 pops available. How to make Ice Popsicles ? 1. Fill the right amount of freezing agent into the freezing tank. 2. Press the Production button to activate the production mode. 3. Wait about one and a half hour to 2 hours, when the freezing agent temperature reach -18C, the freezing agent is ready to make popsicle. The freezing is varied for different mix temperature and working environmental temperature. 4. Fill the popsicle mix into the popsicle mold. Place the popsicle mold into the freezing tank. Wait about 15 minutes to 20 minutes. till the freezing agent temperature reach about -15C to -16C, the popsicle is ready. 5. Take out the popsicle mold from the freezing tank, demold by warm water of temperature of 40C to 45C. 6. Lift the stick holder, drop the popsicle onto a pre freezed clean sanitized tray. 7. Now the popsicle is ready for package and decoration. Q: What freezing agent should I used? Q: How long the machine takes to make popsicles? A: At the very beginning, the freezing agent takes about one and a half hour to 2hours to freeze to -18C, then you could place the popsicle molds into the tank. Each freezing cycle takes about 15 to 20 minutes? 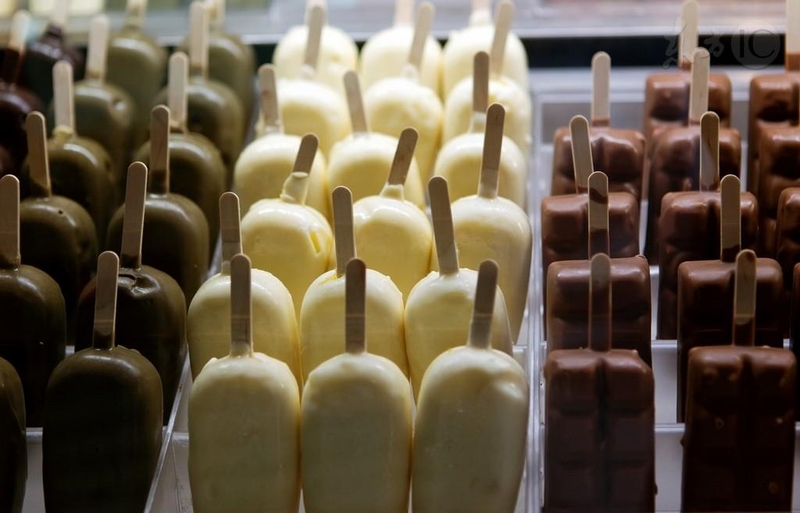 Q: Could I choose different designs of popsicle mold? Can I order more molds? A: Yes. Popsicle mold of various designs available. You could order more molds. Q: How to keep the pops from melting? A: After making the popsicle by the popsicle machine, you could freeze the popsicle by a blast freezer for about 5 to 10 minutes, then put in a showcase or an ice cream freezer for sale. Q: Could you provide me the popsicle recipe? A: Yes. 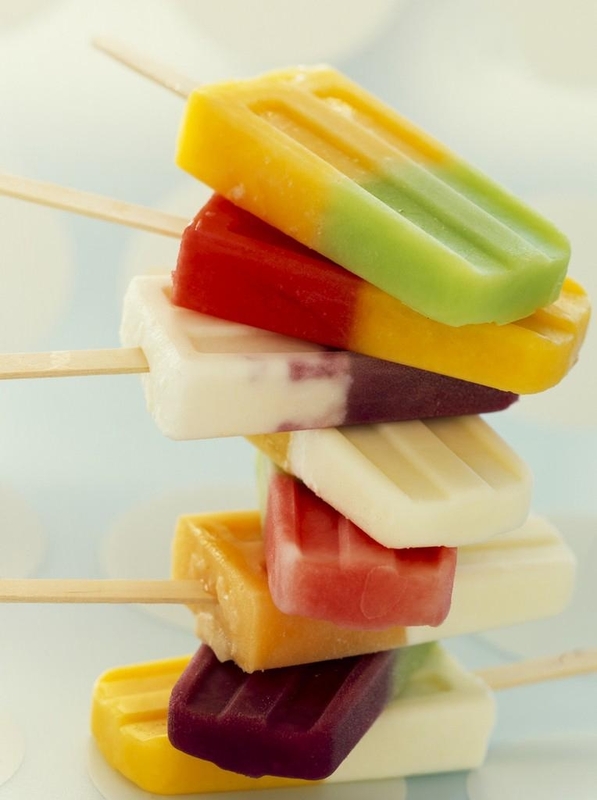 We could provide you the popsicle recipes. Q: I am new on the popsicle business. has no experience on popsicle making. 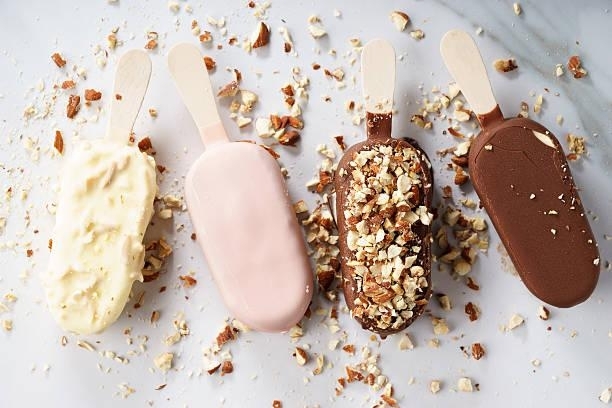 Could you provide the training on popsicle making. A: Yes. Professional popsicle making training available. Q: Do you provide training on machine operation and maintenance? A: Yes. Our professional and experienced staff could provide you professional training on the machine operation and maintenance. Q: Customized advertising sticker, logo accepted? A: Yes. You could choose to attach your customized advertsing sticker or logo on your machines. Q: What service do you supply? A: Before sales service, if you do not know which model is suitable for your business, JinLiSheng could provide you some suggestions. Afer sales service, if you have any queries on machine operation and maintenance, just provide the machine model, serial number, and the detailed description of your queries, the experienced after sales staff of JinLiSheng will provide you professional instructions. A: Sample order, small order, big order all welcomed. A: Within 15 days after received payment. If there is stock, could ship out once received payment. Confirm with us before place an order. A: You could pay by credit card or T/T via Alibaba Trade Assurance system. You could also pay by T/T or L/C to our company account. For small amount, payment by western union, Paypal also accepted. A: Yes. JinLiSheng machine covers one year parts warranty. Q: Could you provide us machine photo, specification, catalogue, ads material for promotion use in our local market? A: Yes. JinLiSheng is willing to do this. Q: Are you seeking for distributor dealer in our market? A: Yes. JinLiSheng is seeking for distributor dealer worldwide. JinLiSheng is willing to establish a good and long term business cooperation with our business partners on mutual benefits. Q: Do you have Free machine programe? A: Yes. Welcome to contact us for details! Machine of different configuration, with different options is available for your choice. Machine price is varied for different configuration. Welcome to share us your requirements (business plan, budget, specific requirements), we could tailor make the machine for you.